Lindy Hindman of Fayette County High School was presented with the 2019 Fayette Garden Club Community Service Award during the April 2 Chamber of Commerce Luncheon. Shown from left: Fayette Garden Club President Doris Brasher, Hindman, Jane Introvartolo and Francis Butler. 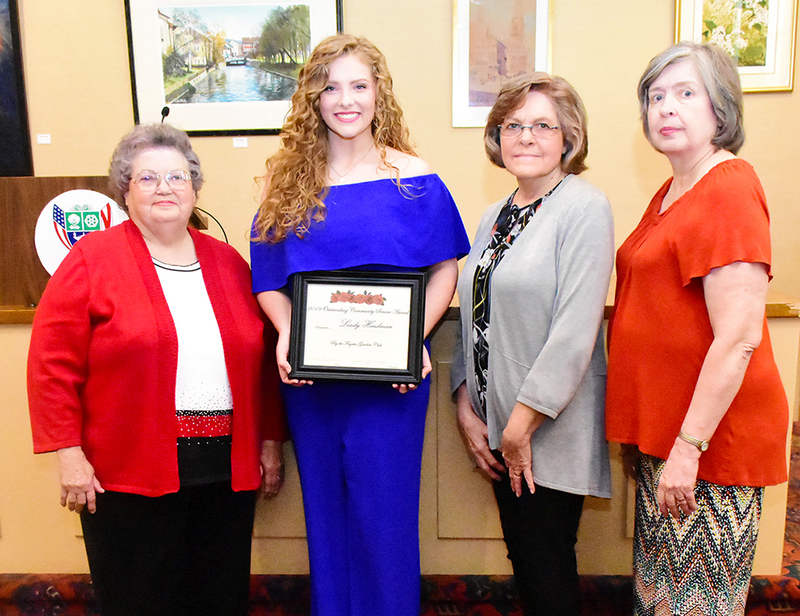 Lindy Hindman, a senior at Fayette County High School, was presented the Fayette Garden Club’s 2019 “Outstandin Community Service Award” during the Fayette Chamber of Commerce’s “First Tuesday” luncheon on April 2.